Removes residues from the soleplate of a hot iron. Fusibles, interfacings, melted synthetic fabrics, patch glue and starch all melt away easily. No need to wait for the iron to cool down. For marble, stainless steel, and granite. Eliminates smuges. Non waxy. Streak free shine. Professional strength, highly effective aerosol. Powerful foam clings to surface, removing carbon deposits, greasy wastes, and baked-on-foods. Powerfully removes limescale, rust, grease and other buildup caused by hard water, detergent and food residues. Over time, this buildup affects your dishwasher?s cleaning performance and can lead to the presence of harmful bacteria. Regular use of Glisten dishwasher cleaner keeps your machine clean, fresh and maintained. Reaches deep to clean and deodorize. Includes 5 foaming power packs. For cleaning warm or cold ovens, broilers, barbecue grills and stainless steel surfaces. Cuts through tough baked-on grease. Designed to clean and deodorize your garbage disposal, safely and effectively. Our powerful formula reaches deep to scrub away the toughest grunge and odor causing buildup from the entire disposal and drain pipes. For cleaning ovens, broilers, barbeque grills and stainless steel surfaces. Penetrates tough oven grease and cleans with no fumes to irritate nasal passages and no corrosive lye. Requires no heat. Lemon Scent. Removes hard water deposits, scale and buildup. Frees clogs to help your coffee maker run more efficiently. Works with single serve and automatic drip coffee makers. Superior strength and performance vs. plain diluted vinegar. Restores coffee taste and preserves appliances. Works in HE machines and traditional top-loading machines. 1-5% Sodium hypochlorite. Liquid cleaner dissolves and removes build-up of lime, calcium and other water deposits. Ready-To-Use. The fast-acting, clinging foam goes on effortlessly and penetrates quickly to remove baked-on grease, food and carbon deposits. The non-toxic, clean-rinsing formula leaves surfaces residue-free, making it the safer choice for use on cooking surfaces. It's ideal for use on BBQs, grills, smokers, stove tops, ovens, camp stoves, slow cookers, microwaves, food dehydrators, range hoods, vents, filters, utensils and other cooking surfaces. It easily restores shine to both interior and exterior surfaces and is safe for use on metals and plastics. Clean-up the toughest mildew stains, tree sap, suntan lotion, dirt and grime, without harming plants or pets. Biodegradable and non-toxic. Cleans resin, wicker, wood, plastic and metal. It works wonders on awnings, cushions, umbrellas, decks, boats and RV surfaces. Use it full strength for really tough stains or diluted. Designed to clean wood cutting boards. No harsh chemicals that can weaken wood fibers. Can also clean and neutralize odors on well-used cutting surfaces and wooden utensils. Safe to use on any wood surface that may come into contact with food. Helps to maintain your wooden kitchen items to keep them looking great and lasting for years. Freshens and cleans wood surfaces with real coconut soap and lemon oil. A powerful, safe and versatile washing machine cleaner and deodorizer that helps extend the life and enhance the performance of your washer. Removes odor causing residue and abrasive mineral buildup that reduces your washer?s cleaning effectiveness and damages clothing. Cleans countertops, tabletops, floors, and sealed natural stone surfaces. Removes grease, soil, stains and water marks. Visibly reduces dullness and enhances natural color and veining. Gentle yet effective, pH neutral formula will not dull or damage stone. Leaves a streak-free shine. Recommended for: Sealed stone surfaces including granite, marble, quartz, onyx, travertine, limestone and slate. Laminate, ceramic, porcelain, tile, fiberglass and any non-porous hard surface countertop. Not recommended for use on floors. 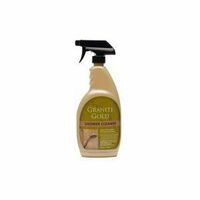 Use to restore suppleness and sheen to leather surfaces. Moisturizes with natural oils and protects against UV rays to keep furniture, car interiors, purses and more looking like new. Formulated to clean and shine gas ranges, stovetops, knobs, drip pans, grates, gas BBQ grill grates, and ceramic, glass and metal bakeware. Dissolves tough, stubborn soil. Removes burned on foods, grease and residue. Leaves microwaves clean and smelling fresh. Removes baked-on food. Fresh citrus fragrance. Tough on built up grease and grime without containing any harsh chemicals or caustic fumes. Foam-action aerosol delivers excellent cling to stay where you spray. Stay Clean Technology makes cleaning granite and stone surfaces fast and easy by creating a transparent, protective coating to repel dirt, water and stains. Clean, polish and protect in one step. The pH balanced formula removes food deposits, grease and grime. Leaves a streak-free, long-lasting shine. Leather Revive Clean & Protect instantly revitalizes leather surfaces. The three-in-one formulation cleans, conditions and protects all types of leather. The pH-based formula gently and thoroughly removes dirt, soil and residue safely in one step, saving you time and hassle, while protecting the surface. Keeps leather surfaces looking like new longer. Stay Clean Technology makes cleaning granite and stone surfaces fast and easy by creating a transparent, protective coating to repel dirt, water and stains. Clean, polish and protect in one step. The pH balanced formula removes food deposits, grease and grime. Leaves a streak-free, long-lasting shine. For cleaning sealed granite, marble and other natural stone surfaces. Safe to use on granite, marble, quartz, porcelain, engineered stone, ceramic, and limestone. Non-acidic. Dust, clean, and polish all natural stone surfaces. Stay-In-Place foam clings to surfaces. Easy-to-use: foam stays where you spray and does all the work. Penetrates and breaks down tough burnt-on carbon deposits. Fume-free; no offensive odors or industrial strength cleaners. Safer alternative to general oven cleaners. Surface safe on most kitchen surfaces. Use on ovens, indoor/outdoor grills and more. Biodegradable ingredients. VOC-compliant. Trigger spray. Thick foam surrounds disposal blades and interior parts, cleaning hard-to-reach grease and grime. Deodorizes foul disposal odors, leaving a fresh, citrus scent. Just shake and spray into disposal until foam fills to the rim.